It is a year in which women's empowerment is top of mind in marcomms. 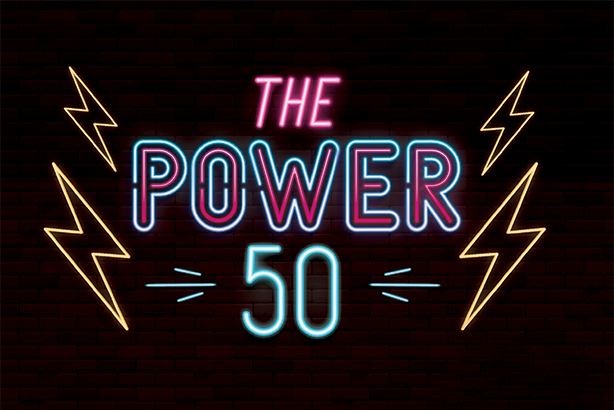 Last year’s Power List featured a woman at number one for the first time: Omnicom PR Group’s Karen van Bergen. Topping the list this year is Burson Cohn & Wolfe CEO Donna Imperato, who became leader of the world’s third-largest PR firm in February when WPP merged its corporate and public affairs giant with Imperato’s consumer and health shop. It is a year in which women’s empowerment is top of mind in marcomms. Hence, we also welcome Hilary Rosen from SKDKnickerbocker, who is founding co-chair of the Time’s Up Legal Defense Fund, and Golin’s Caroline Dettman, who launched Have Her Back at the IPG firm to empower female creatives. Ketchum’s Barri Rafferty joins the list having assumed the global CEO position from Rob Flaherty at the start of this year. Other additions include Marjory Stone-man Douglas High School student Emma Gonzàlez, whose poised countenance in stressful and emotional circumstances taught the professionals a thing or two about communication. We welcome back Rachel Whetstone to the list. After a spell at Uber, the Google comms veteran joined Facebook and, following the departure of Elliot Schrage, will spearhead its response to scrutiny from politicians and regulators. Elsewhere, Jennifer Kuperman is helping Alibaba curry favor with U.S. analysts who don’t know much more about tech than senators who questioned Facebook’s Mark Zuckerberg in April. All these women represent a shift in power in PR toward dynamic female leadership — long may that continue.